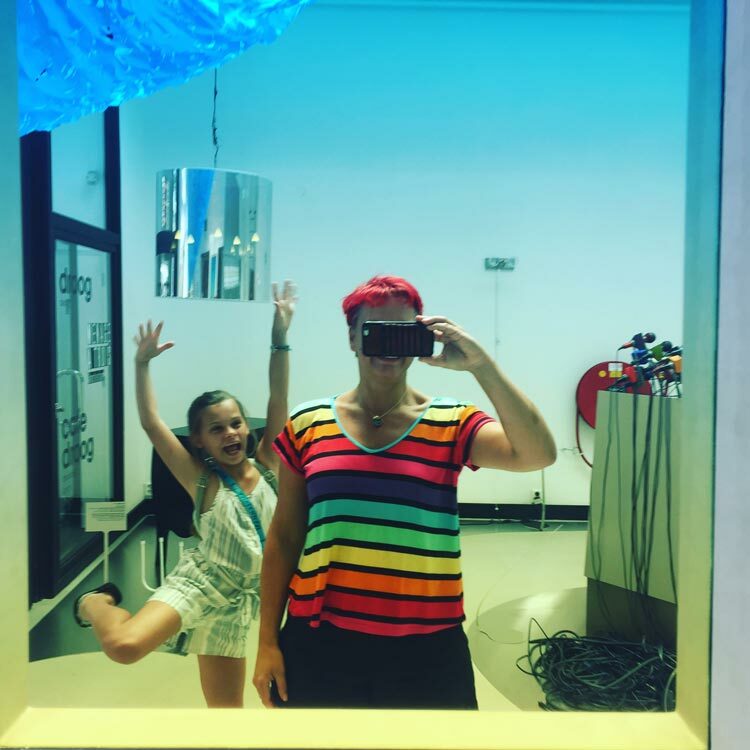 Bess couldn’t resist this dichroic glass mirror in Amsterdam for a selfie of her rainbow print viscose T-Shirt (pattern drafted from a fallen apart Great Plains linen T-Shirt). The neck is bound with the same jersey and a stay tape is inserted on the shoulder seam to keep it stable. Photobomb of Kitcat was unavoidable.